Building an carbon-epoxy fin keel for a radio controlled model sailing yacht with Roarockit. At our Bordeaux location we are proud to offer workshops so that you can custom build the skateboard you have always dreamed of. Choose to build a Lil’Rockit, Street Deck, Pintail, Drop Deck or Speed Board. Workshops can be arranged for either 2 x 3-hour sessions, or 3 x 2-hours. Times are set by appointment, and are usually one-on-one for a truly custom building experience! 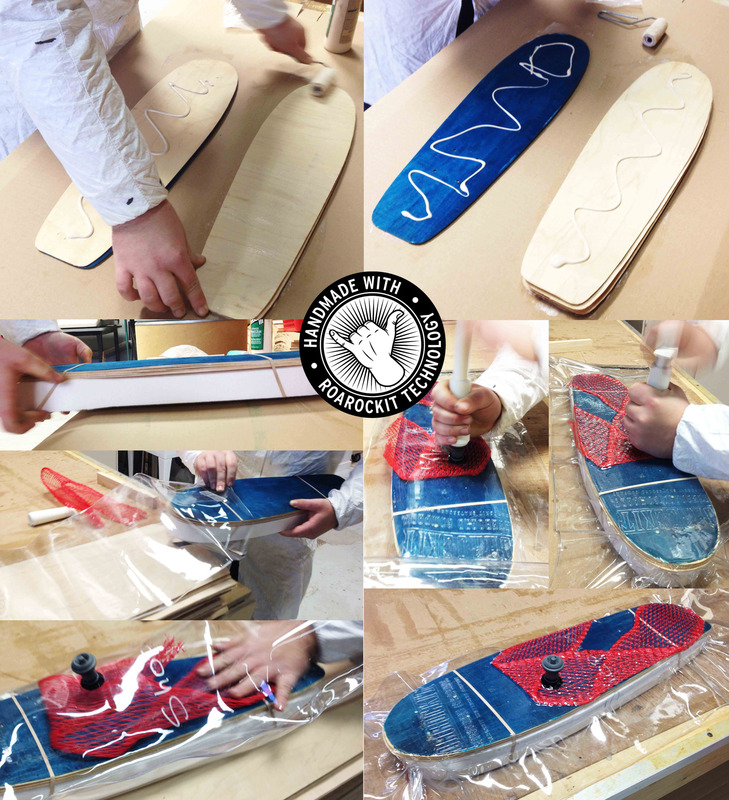 Skateboard Deck building can be used as a focus to include a wide range of subjects into your curriculum. Help your students earn their mandatory and elective credits while building skateboard decks in class or just build decks for fun! The Roarockit deck building system has been working successfully in schools around the world since 2000. Easy to teach, easy to learn, a win-win for students and teachers. 2-Day Certified Teacher Training Sessions are available.